Today is the Feast of yet another great Franciscan, and Doctor of the Church, St. Lawrence of Brindisi. The following life is taken from Catholic Online. "Caesare de Rossi was born at Brandisi, kingdom of Naples, on July 22nd. He was educated by the conventual Franciscans there and by his uncle at St. Mark's in Venice. When sixteen, he joined the Capuchins at Verona, taking the name Lawrence. He pursued his higher studies in theology, philosophy, the bible, Greek, Hebrew, and several other languages at the University of Padua. He was ordained and began to preach with great effect in Northern Italy. He became definitor general of his Order in Rome in 1596, a position he was to hold five times, was assigned to conversion work with Jews, and was sent to Germany, with Blessed Benedict of Urbino, to combat Lutheranism. They founded friaries at Prague, Vienna, and Gorizia, which were to develop into the provinces of Bohemia, Austria, and Styria. At the request of Emperor Rudolf II, Lawrence helped raise an army among the German rulers to fight against the Turks, who were threatening to conquer all of Hungary, became its chaplain, and was among the leaders in the Battle of Szekesfehevar in 1601; many attributed the ensuing victory to him. 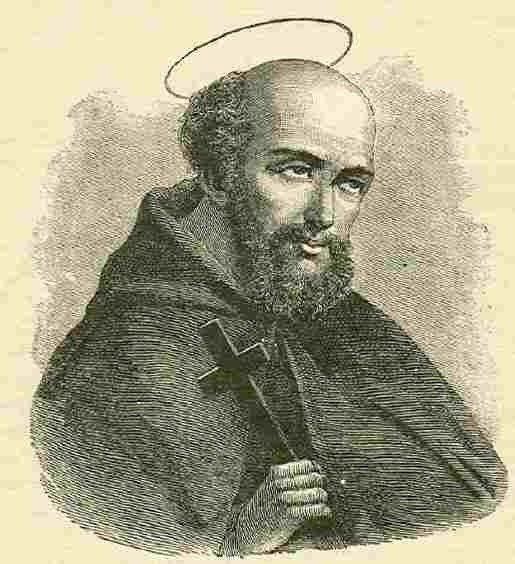 In 1602, he was elected Vicar General of the Capuchins but refused re-election in 1605. He was sent to Spain by the emperor to persuade Philip III to join the Catholic League, and while there, founded a Capuchin house in Madrid. He was then sent as papal nuncio to the court of Maximillian of Bavaria, served as peacemaker in several royal disputes, and in 1618, retired from worldly affairs to the friary at Caserta. He was recalled at the request of the rulers of Naples to go to Spain to intercede with King Philip for them against the Duke of Osuna, Spanish envoy to Naples and convinced the King to recall the Duke to avert an uprising. The trip in the sweltering heat of summer exhausted him, and he died a few days after his meeting with the King at Lisbon on July 22nd. Lawrence wrote a commentary on Genesis and several treatises against Luther, but Lawrence's main writings are in the nine volumes of his sermons. He was canonized in 1881 and proclaimed a Doctor of the Church by Pope John XXIII in 1959. 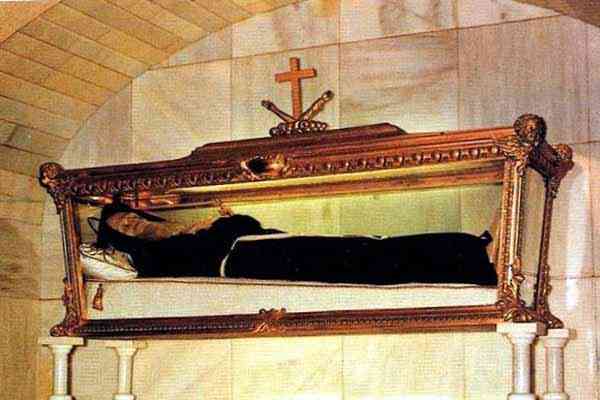 His feast day is July 21st."